I’ll keep this relatively short because I’m of the mind that these awards don’t really matter that much. They are a fun intellectual exercise and often an occasion for comedy, but they are of little real value beyond that. It’s nice to honor individual achievement with a plaque, but the fact that one player wins and one doesn’t changes nothing about the seasons or the players. It’s just a thing that an exclusive group of writers says. But I also find myself in an interesting place because the player on my favorite team was the player who won the award that, in my mind, was handed out to the wrong guy. I’m thrilled for Miguel Cabrera personally and I’m really glad he had a great year. I’m thrilled for Scherzer, whom I didn’t vote for but considered a much better Cy Young candidate than Cabrera an MVP candidate. But on the other side, I’m a fan of smart, rational decision-making and good analysis and the MVP voting that helped Cabrera was lacking in that department. I have yet to see a rational case for why Cabrera was the AL’s best player. Or most valuable, if for some reason you think those two words mean different things. If you have a rational case for Cabrera, I want to hear it. Post it in the comments section or e-mail me at NewEnglishD@gmail.com. Maybe I’ll even publish it. I’ve written about this race at Beyond The Box Score and I wrote about the same battle a year ago in these pages. I don’t have a lot else to say on the subject. Trout was better. The award should go to the best player. Therefore, Trout should win the award. Those three statements are important for this discussion. Let’s consider them briefly to illustrate a point. I touched on this above and in the first link, so I’ll keep this short. Mike Trout was the better baseball player in 2013. He had more plate appearances and was Cabrera’s equal when you combine baserunning and hitting and was much better on defense. A lot of the people who voted for Cabrera even admitted to this point. Okay, good. The award should go to the best player. This was the talking point this season. Lots of writers argued that in order to be valuable, your team has to be good because there’s no difference between the 70 games the Angels would have won without Trout and the 80 games they did win with him. That’s a silly thing to give out an individual award for, however. What is the value of handing out an award to the best player on a good team? Forget for a moment that the description explicitly says that the winner doesn’t have to come from a playoff team and just ask yourself this. Why would we want to give an award to the best player on a good team? What is that proving? That suggests that an individual award is contingent on the performance of one’s teammates, which means it isn’t an individual award at all. Therefore, Trout should win the award. If Trout is better and the award should go to the best player, then Trout should have won. That’s a little obvious, but also important to say. If we aren’t going to give the awards to the player who deserves to win, what’s the point of even giving out the award or caring about it at all? So here’s the punch line. And this is going to sound strange. The fact that Cabrera won each of the last two MVP awards actually diminishes his accomplishments. I’m a Tigers fan before I’m a baseball writer and I’m actually more upset about this part of it than anything. The MVP has become a bit of a joke, so it’s less meaningful to me that he won it this year. It cheapens Verlander’s award, which I think was more justified. It’s a less prestigious award because of this process. I would be prouder of Cabrera finishing second in an award that matter than finishing first in one that doesn’t. 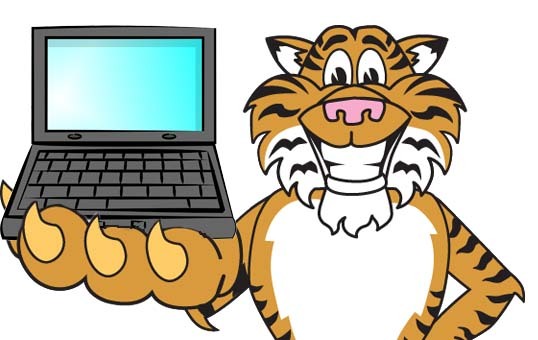 Several people have mentioned to me that I’m one of the few Tigers writers who sees this thing objectively. I appreciate that, but it also speaks to another important issue. Beat writers, many of whom are great and smart, don’t watch enough baseball to really provide a good vote. The Tigers guys know the Tigers, but they don’t stay up late watching the west coast games because they’re still busy covering the Tigers and going to bed so that they can cover them again. Part of the problem is that some writers are hopelessly lost, but a lot of them just don’t have the exposure to enough players because they don’t have the time. I think that’s another flaw in the system that isn’t any of the voters’ fault. The rational analyst in me is unhappy with the result, but so is the Tigers fan. Cabrera didn’t deserve the award and the fact that he won anyway makes it less special as an institution. I’m not losing sleep, but I do wish we did a better job on things like this. I mean, we have to do something until they start playing again. I think it diminishes the award in general, which just makes the fact that he won less meaningful. Which makes all future wins less meaningful. That’s all. I think the blow back is for two reasons. One, it’s the offseason and nothing is going on. If there was actual baseball, I don’t think we’d talk about it so much. Two, I think there’s value in having this debate in public. We’ve won a lot of converts this year as a result of these kinds of debates. It often doesn’t look like it because this kind of stuff doesn’t generate lots of retweets or whatever, but I’ve had a lot of people tell me they’ve changed their views on things because of something I’ve written. Which is partially what I’m after when I write about these things. I want to promote more high quality thinking and writing and to do that you have to motivate people to consume that type of information.